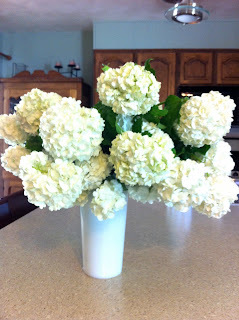 My garden is in full bloom so I wanted to bring some flowers inside to enjoy. 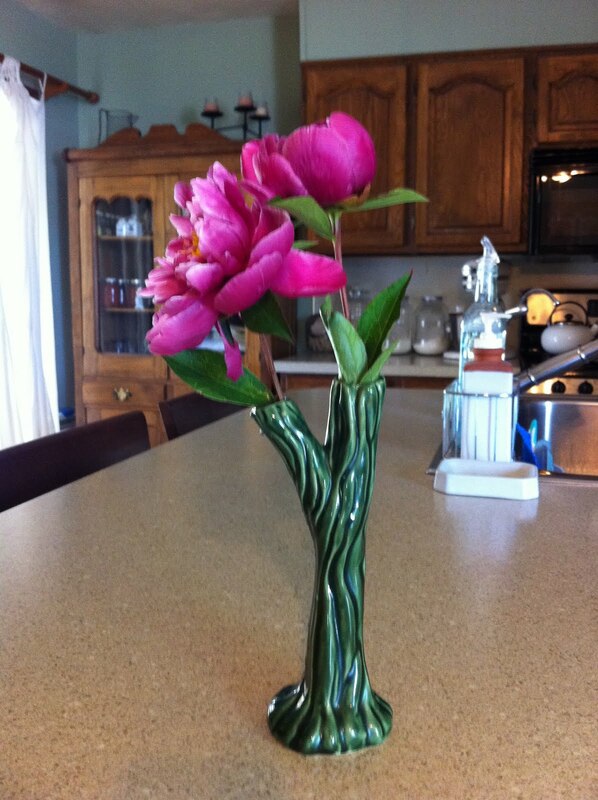 Don't you just love this tree trunk vase? I think it shows off the peonies quite well. 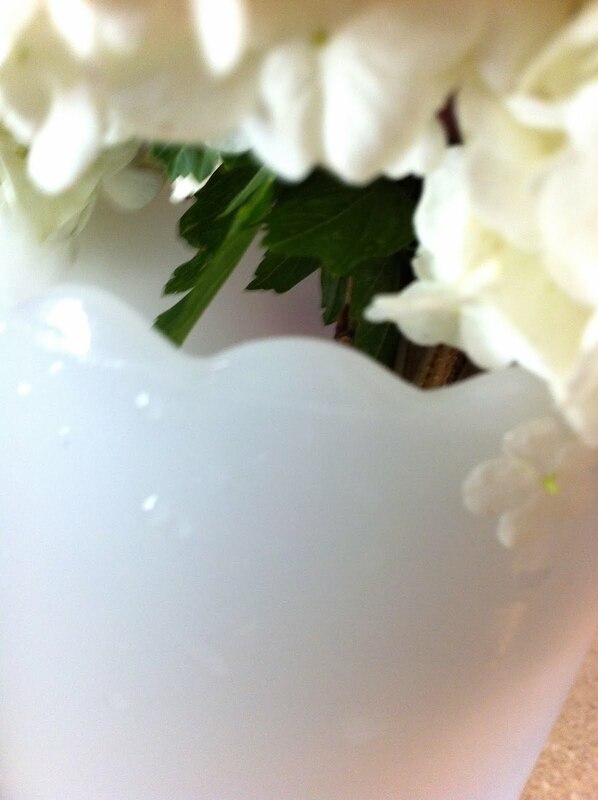 vintage milk glass vase with the little bit of green leaves for contrast. See the lovely scalloped edge? Just the right touch, don't you think? Lovely flowers and vases to go with them!